Music from the 40's and 50's. Remember the sound of Glenn Miller, the swing of the Andrews Sisters, Doris Day, Rosemary Clooney, Frankie Lane, Vera Lynn and many others. The unforgettable sound complete in the Air Force Style with lights and special effects. Please dream away, and we will bring back good old memories. 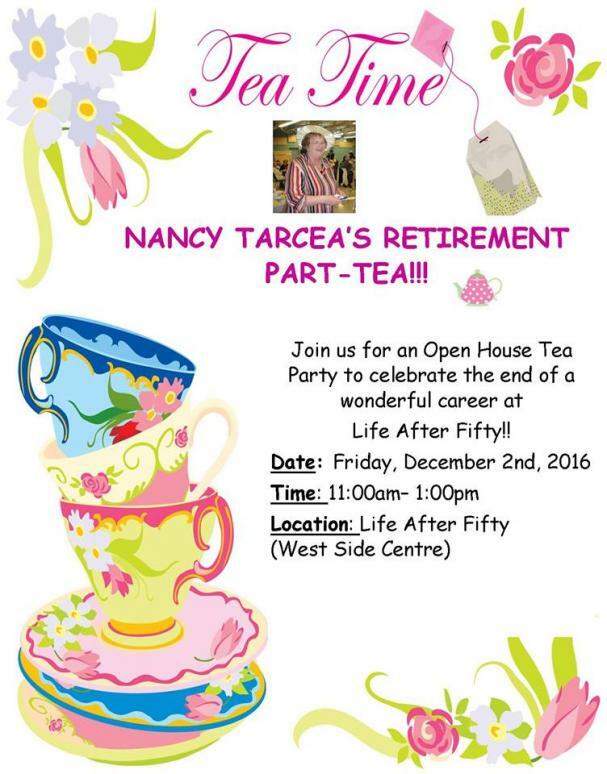 Join us for an Open House Tea Party to celebrate the end of a wonderful career at Life After Fifty! Local elementary students learn about currency and giving at our annual, inter-generational event, featuring a special guest!!! Enjoy brunch,a full turkey meal, entertsinment, hot chocolate bar, &holiday fun! Bring canned good and be entered to win 1 of 2 Prizes. All items collected will go to support our annual food drive.